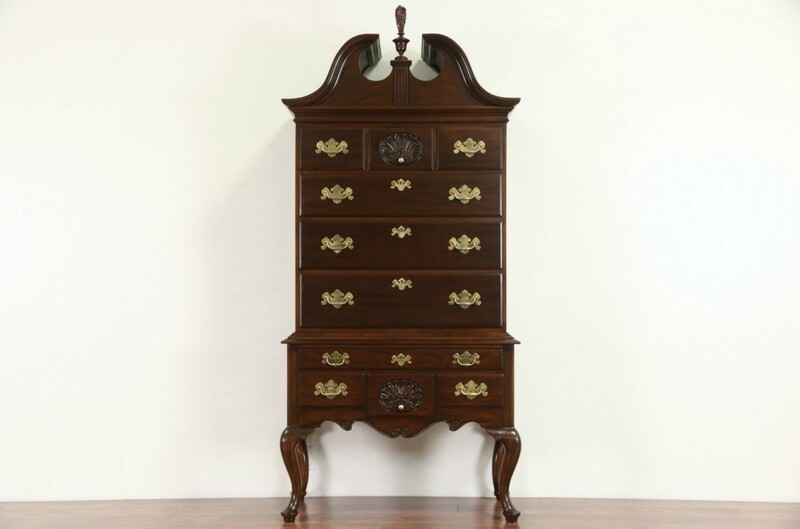 Signed by premier maker, "Henkel Harris Virginia Galleries," this classic high boy or tall chest on chest from about 25 years ago is solid mahogany. The original finish is very well preserved, the top of the separate base has been revarnished. The flame shaped finial and shell carving is authentic. Drawers have dovetailed solid oak sides and heavy weight brasses on this American made vintage furniture. Size is 41" wide, 21" deep and 89" tall.